Tess, the champion sheepdog, sponsored by Dynamite Specialty Products, makers of all-natural dog food and nutritional supplements, starts her season off with a victory. 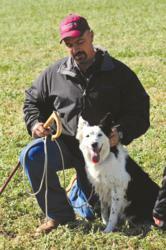 Champion Sheepdog Tess relies on Dyna-Pro dog prebiotics in competition. It’s all about guts. The dog’s physical guts also have to be working. Champion sheepdog Tess, sponsored by Dynamite Specialty Products, makers of Super Premium Dog Food and Dyna-Pro for dogs, is back home after winning first place in the season opener sheepdog trial in Hepner, Oregon. The first official trial of the season featured dog handlers from all over the Northwest, including an array of award-winning dogs. Tess’ excellent start to the season among such impressive competition is testimony to the benefits of sound canine nutrition and prebiotics as well as good training and instinctive drive. Tess’ handler, Lavon Calzacorta, believes that much of his dogs' success, in addition to their training, is due to his dog's food and dietary supplements. All are designed to provide both mental and physical energy for sheepdog trials, in which dogs have to perform a variety of different tasks for their handlers. Calzacorta works with his dogs at his home outside of Boise, Idaho more than 15 hours a week. Training begins when they are 12 to 16 months old. Tess was bred at the Helsley Ranch in Caldwell, Idaho. Calzacorta noted that Dyna-Pro prebiotics for dogs is a constant ingredient in dog nutrition for Tess. Dyna-Pro uses a fermentation extract for the health of natural gut bacteria. It is primarily given to dogs and horses, but can be given to a variety of other species. Tess’s next competition will be at the Big Willow trial in Payette, Idaho May 12-13th. 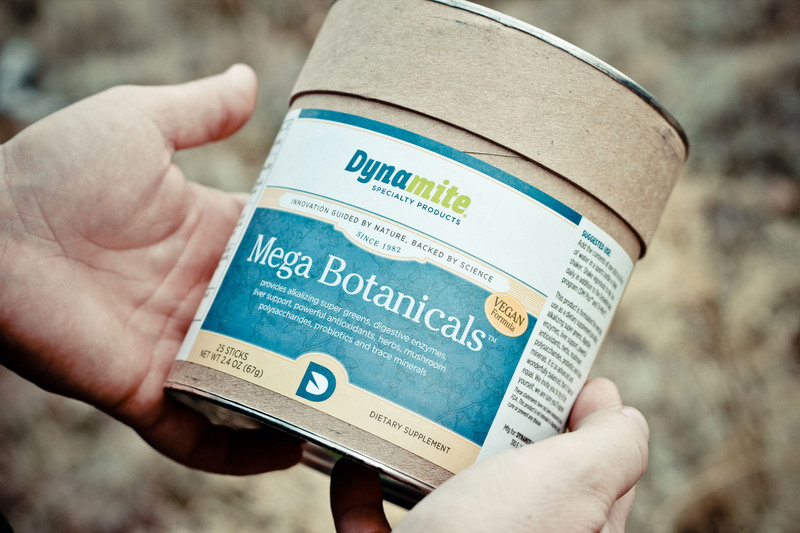 Dynamite products are available through more than 4,000 individual distributors across the country. All dog food and other products use only natural ingredients and are made in the United States for quality control. Dynamite’s recently developed Super Premium Dog Food is a wheat-free, corn-free dog food that was designed for dogs with sensitive digestive systems. More information is available at dynamitespecialty.com or by calling 1-800-697-7434. Dynamite Specialty Products Super Premium Dog Food Dyna-Pro Mega Botanicals "green drink" from Dynamite Specialty Products.